Glock 17 9mm 17rd ETS Mfg Magazine, Smoke, New. 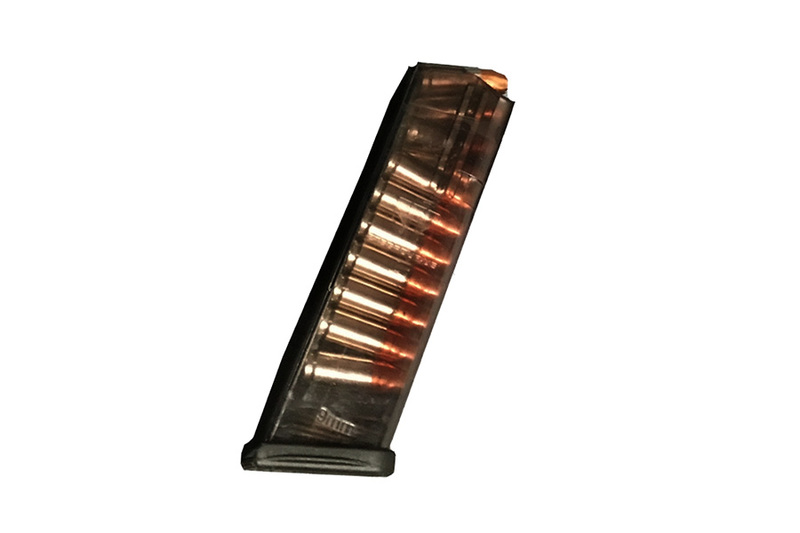 New ETS (Elite Tactical Systems) 17rd drop free 9mm magazine for the Glock 17 and similar (19,26,34). 8ft extreme impact resistant, chemical resistant, UV and temperature resistant, and lips and body will not spread when being stored long term loaded. Translucent smoke body allows easy round count. Has ambidextrous mag lock cuts for use in Gen 3 or Gen 4 pistols. Made in the USA. I bought one of these ETS magazines to give the a try. I have loaded it up to see how it holds a full load until I go to the range again. I hope it does well, it is very light and translucent. I don't do any crazy torture test. Shipping was fast and items were well packed. Purchase for a future Spectre build project. Have not used magazines yet, therefore review based on quality of materials and functional appearance. Mag fits well but have not used it as of yet.